A 'dog in a manger' is a phrase referring to a dog who does not want to eat the hay but wants to prevent other animals from so doing. It is a term for a spiteful, mean spirited creature. 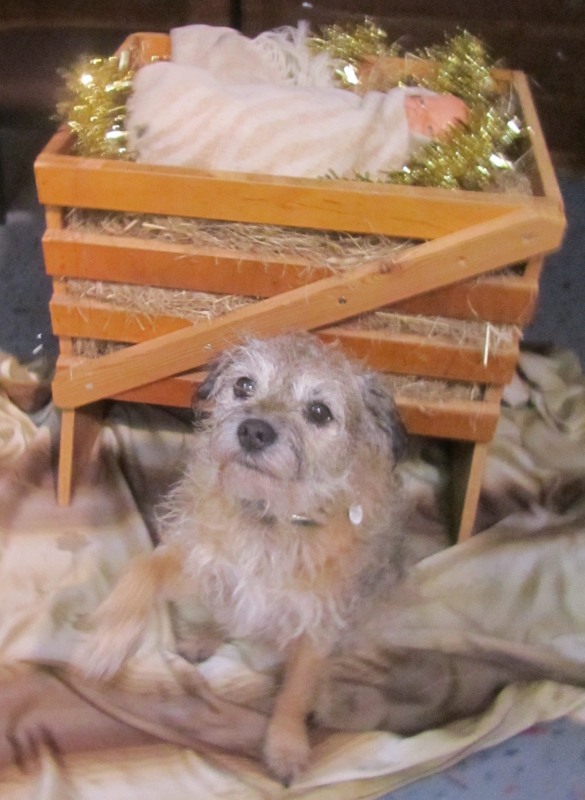 Harry is not being a 'dog in a manger' in that sense. He is a a dog who would rather not be in the manger. But I am holding a treat to get him to sit there for his photo - which is why he is begging with paw up. Something our children taught him when he was a puppy.